The Capitals looked like a broken team 20 games into the season. Now they're in the Stanley Cup Final for the first time in 20 years. A realization in mid-November that things had to change went a long way. LAS VEGAS, Nev. — Long before the Capitals’ improbable run to the Stanley Cup Final, defenseman Matt Niskanen took an objective look at the Washington roster. Niskanen held a popular opinion. The Capitals were coming off consecutive Presidents’ Trophy winning seasons, but had their roster decimated last summer when six regulars left via trade, free agency or the expansion draft. After years of premature playoff exits, the Capitals may have the last laugh in 2018. The Eastern Conference champions arrived in Las Vegas this weekend with a healthy swagger as they prepare for the club’s first Stanley Cup Final appearance in 20 years. They face the expansion Vegas Golden Knights in Game 1 Monday at T-Mobile Arena (8 p.m. ET; WFED 1500AM). Ovechkin has spent 13 seasons trying to lead the Capitals to an elusive first Stanley Cup title. Early on this year, it hardly looked like the 2017-18 Capitals would be the team to break through. The offseason departures, combined with the nature of last spring’s Game 7 second-round defeat to the Pittsburgh Penguins, left the Capitals a fragile bunch when they reconvened for training camp. “The emotional part of it was a major concern going in,” said general manager Brian MacLellan. “There was a little bit of a grieving period,” head coach Barry Trotz said of a sluggish autumn. The start of the season, in almost all sports, is a time of optimism for nearly all teams. Everyone is undefeated, the bumps and bruises have yet to accumulate and players often beam with pride when discussing their offseason training methods. In the Capitals case, the lack of energy was palpable. They looked like a broken team. The boiling point may have come during a mid-November road trip through Nashville and Denver. Two nights after falling 6-4 to the Predators, the Capitals lost 6-2 to the Colorado Avalanche on Nov. 16. The Capitals had a record of 10-9-1 and were showing few signs of life. Minutes after the loss in Colorado, the Capitals were given a stern talking-to from head coach Barry Trotz. Players are naturally reluctant to divulge too many details from the closed-door meeting, but Trotz delivered a difficult message to some of the team’s top players. Given the nature of his working on an expiring contract, it was a bold tact from Trotz who could have lost the room and watched the season go off the rails. Instead, the Capitals heard the message, looked at themselves and realized that they needed to be better. For Braden Holtby, it was a much-needed wake-up call for the team. Looking back, it’s clear something changed for the Capitals in the days after the loss in Colorado. After an admittedly slow start to the season, the Capitals ended the year on a 38-16-6 run starting Nov. 22 to propel themselves to an eighth division title in 11 seasons. That has been followed by an elusive deep postseason run with the Capitals eliminating the Blue Jackets, Penguins and Lightning en route to their first trip to the Stanley Cup Final since 1998. The biggest question surrounding this Capitals team is what makes them different from seasons past? What has allowed them to advance this far, despite not having the same talent or depth as they have on past teams? Handling that adversity has been evident throughout this postseason run. The Capitals rallied from a 2-0 series deficit to beat Columbus in Round 1. They beat the rival Penguins on the road in Game 6 of their second-round series, despite playing without Nicklas Backstrom, Andre Burakovsky and Tom Wilson and having to rely on a postseason franchise-record five rookies. 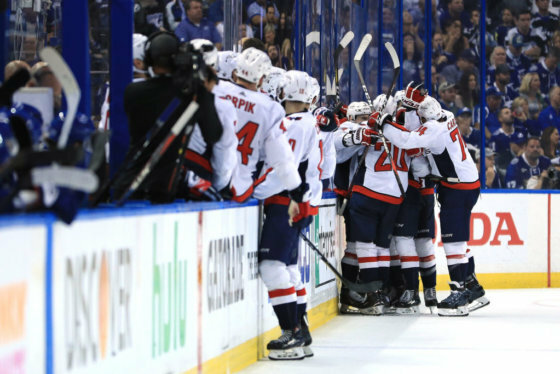 The Capitals then avoided elimination twice against the Lightning, punctuated by a Game 7 shutout on the road. They are the types of responses and performances that had rarely been seen in previous springs. They’ve also played like a desperate team; winning battles and doing the dirty work that don’t always show up on the stat sheet. 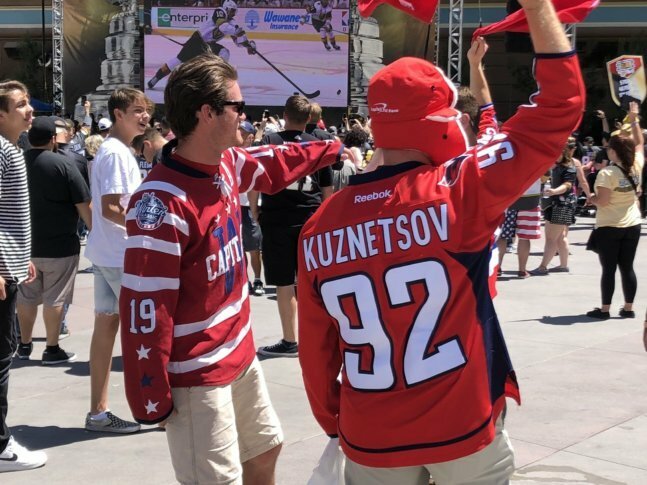 After the Washington Capitals beat the Tampa Bay Lightning in Game 7 on Wednesday night, fans celebrated in D.C. See photos. It’s been a formula that few could have predicted from this group back in November. But it could lead to a long-awaited first Stanley Cup title in Washington. “I think we’ve got to be greedy,” said Niskanen, an 11-year veteran in his first Stanley Cup Final.